The threat of violence concerns most people most profoundly. It has long been a topic of intensive academic, practical and political debate. 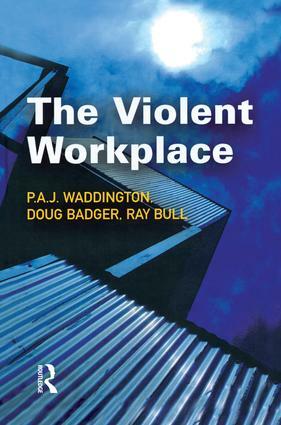 In recent years the workplace has emerged as a recognized site of violence, threat and menace and this book will make a significant contribution to the growing literature on workplace violence. Using innovative research methods, this book uniquely examines four of the most violence-prone occupations: the police; Accident and Emergency staff; social workers; mental health professionals. The Violent Workplace identifies similarities and differences between these occupations that are far from intuitive. It examines the diversity of experiences that shelter under the concept of 'violence and threats'; promotes the importance of the 'moral dimension' in experiences of violence; analyzes the impact of appearance and reputation in creating fear; discusses the importance of context in creating a sense of menace; and concludes by considering the practical implications of this research for handling violence and managing those who have suffered it.